Two Page Minimal Resume Template and A Cover Letter - Resumes Mag. 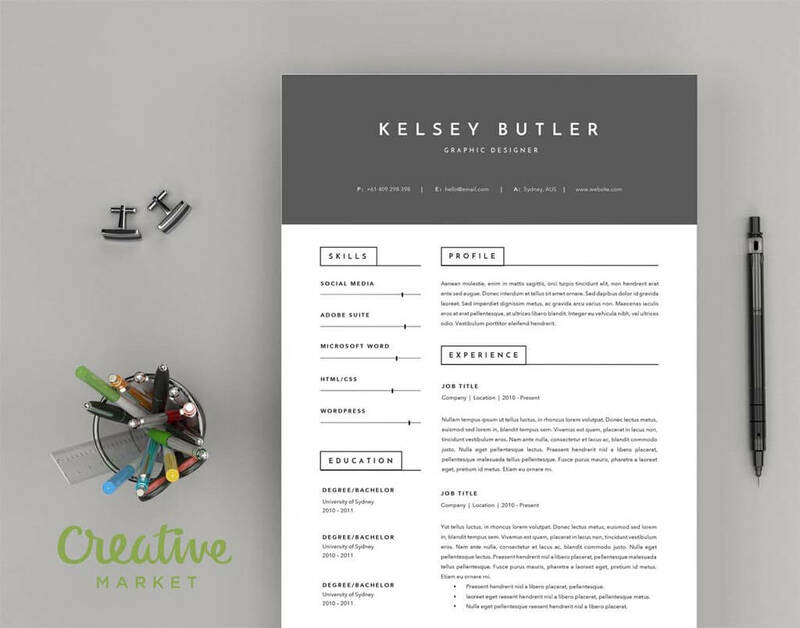 This Modern, Minimal Resume Template is designed by Basic Creations from Creative Market. It is editable and very handy to use with ease. It came in several file types…(like DOCX, IDML, and INDD format), with an extra Cover Letter to make it as an all in one deal! Resume Template in DOCX, IDML, and INDD format (A4 and US Letter). Cover Letter template in DOCX, IDML, and INDD format (A4 and US Letter). Icons PNG files (extra socia media icons). Icons EPS files (extra socia media icons). Detailed instruction guide for Word. A Complete list of all the necessary fonts. Both US letter and A4 resume/CV templates included. This page contains affiliate links, you can find more templates on Resume Templates Shop.